Aries : This week, you are likely to incur expenses on account of urgent requirements in your household. Matters related to personal life are likely to weigh heavily on your mind around Tuesday and Wednesday. Some monetary gains may accrue around Thursday which is likely to cheer you up. On the same day, Mercury will shift from its own sign Gemini to enter a watery cardinal sign, Cancer. Mercury will now be placed in the 4th House from your sign. Those dealing with offshore projects are likely to benefit significantly during this period. Businesspersons, especially, will come across a good opportunity to strike a lucrative deal from overseas. But Ganesha warns against investing money in a new venture. Those doing a job are likely to be comfortably placed financially, but Saturn placed in the 8th House is likely to make you feel discontent in one way or another. Freshers seeking job opportunity are likely to feel happy as they may get a job of their choice around this time. Taurus : After a long stint in its own sign Gemini, Mercury will shifts into the watery cardinal sign Cancer this week. Mercury will now be placed in the 3rd House from your sign to join Sun and combusted Mars already placed therein. The aggressiveness of these fiery planets is now likely to be guided by shrewd intelligent Mercury. Business and salespersons looking to venture into a new territory may be able to plan their tours intelligently. Around Wednesday, unexpected expenses related to domestic matters are likely to upset your plans to save money. Those of you doing a job may have to toil hard and work extra hours to meet deadlines. But fortunately, your boss is likely to act as a guiding force rather than a critic. This is likely to encourage you to remain motivated and give your best. Businesspersons too may have a reason to cheer as high-worth customers may come calling now. Those dealing in foreign trade stand to gain a lot this week, says Ganesha. Gemini : With Mercury, the ruler of your sign, placed in own sign, your basic traits are likely to come to the fore. And the good thing is that Gemini, an air sign, will present you as versatile and adaptable. Communication will be the buzzword for you this week. You have a constant craving for knowledge and intellectual stimulation and may find it difficult to stick to just one thing at a time. Moreover, with the Moon placed in a dual-natured sign, you may be unsure about your priorities. But you are likely to have a good opportunity to gain monetarily around Wednesday and Thursday. However, come weekend and you may end up spending on your family and recreation. Around Thursday, Mercury will leave own sign to enter cardinal sign Cancer to join Sun and Mars placed in the 2nd House from your sign. But Sun and combusted Mars in the 2nd House, which is related to finance, do not favor monetary gains. On the contrary, it may lead to financial loss or unexpected expenses. Cancer: Your sign is known to be a complex one, both at its best and its worst. Cancer is supposed to be one of the most intriguing signs of the zodiac. With the Moon as ruler of your sign, you tend to be moody, temperamental, sensitive and emotional. But with the Sun and Mars both placed in your sign now, you are likely to feel energetic and raring to go. Mercury will be in its own sign Gemini placed in the 12th House, mainly related to expenses. This will enable you to spend money wisely. Moreover, the position of two positive planets, Jupiter and Venus, is likely to keep you in a healthy financial position. However, with more guests visiting you this week, family-related expenses stand to increase substantially. With Jupiter influencing own sign in the 6th House related to employment, your position in job will remain secured. Businesspersons are also likely to profit from the benevolent influence of Jupiter. Around Thursday, Mercury, after a long stint in its own sign Gemini, shifts to Cancer. Leo : With debilitated and combusted Mars in conjunction with the Sun in a watery sign, you are likely to get very emotional now. You may even intensely feel the pain and stress experienced by another person. And this is not surprising since being compassionate is a virtue associated with you. With Venus, the ruler of the 10th House related to occupation/karma, in conjunction with Jupiter, you are likely to focus more on occupation-related matters. Progress in your field of activity is likely to become your priority. You are likely to be prepared to take up new challenges to achieve desired results. However, retrograde Saturn having aspect over your sign and in the 10th House is likely to put hurdles in your routine work. This may slow down the pace of your progress. Occasional monetary gains are likely to make you feel happy, stay motivated, and act with conviction to achieve success. In job also, retrograde Saturn may hold you back from performing consistently. Superiors may get annoyed with you for lack of consistency in performance. 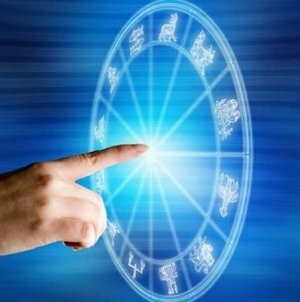 Virgo : Businesspersons and professionals are likely to have gainful time here. However, remain careful in financial transactions. 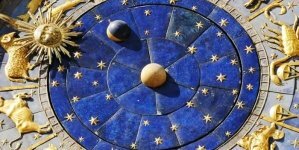 With Venus posited in the 12th House from your sign, you are likely to be in a hurry to earn money. Ganesha cautions against indulging in speculative activities. Businesspersons need to take due precautions while extending unsecured credit to first-time customer. If you do not rigorously follow up, you may lose money. With Jupiter and Venus posited in the 12th House, mainly related to expenses, you may tend to spend money lavishly. You are likely to spend money to buy luxuries and add comforts in household. Around Thursday, ruler of your sign Mercury changes sign to enter Cancer. This change is likely to favour businessperson and professionals dealing with foreign companies. Contacts developed now are likely to last for a long time. Barring minor issues like common cold and cough, no serious health problem is foreseen. Libra : With Venus posited in the 11th House, distractions are likely to hold you back from remaining focused on relevant issue. You may be lured to indulge in pleasure seeking activities which will entail a lot of expenditure. 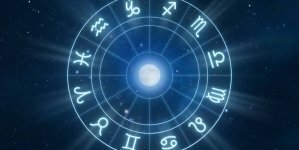 However, with two fiery planets, Sun and debilitated Mars posited in the 10th House from your sign, pressing matters related to career are likely to keep you preoccupied. With debilitated Mars in square aspect with your sign and Rahu, posited therein, you are likely to be worked-up and may become aggressive. 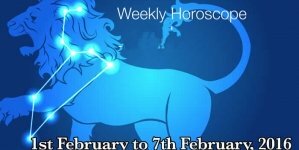 With your lucky star, Mercury in own sign, luck is to favour you to succeed in your efforts to achieve desired level of progress. Around Thursday, Mercury after a long stay in its own sign, changes sign to enter Cancer. Mercury now gets posited in the 10th House from your sign and joins Mars and Sun already posited therein. Mercury here provides necessary intellectual inputs in your pursuits. In turn, you may now be able to perform effectively. Scorpio : Scorpio is a watery and fix-natured sign which is why you are known to have an indomitable spirit to fight back and rise. However, Saturn placed in your sign is likely to have a subduing effect on your spirits. It will make you realise the ground realities and your limitations. The ruler of your sign Mars will be debilitated and placed in the 9th House from your sign along with Sun. With the ruler of your sign debilitated and combusted, you may not have many choices. You may have to accept what comes your way, whether you like it or not. But the good thing is that you are likely to get money for your efforts. 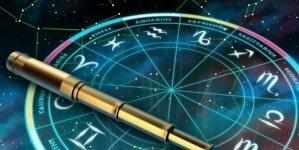 The positive influence of Jupiter over the 2nd House related to money matters will also help you maintain and improve your financial position. If in a job, malefic influence of Ketu is likely to keep you on your toes and the urgency to meet the deadline is likely to see you stressed. Sagittarius : At home, you may be criticised for not paying due to the requirements of family members. It is not that you do not make enough provision, but some minor slip or oversight is likely to be highlighted to your discomfort. Kids may complain about you not spending enough time with them. Ganesha says remaining continuously in touch with near and dear ones is a must in a relationship. Basically, natives of your sign are family-oriented and love spending time at home. You want your spouse to take care of mundane things required to run domestic affairs smoothly. Take it easy and do not get too perturbed by criticism. Ganesha views this as a transitory effect of planetary alliances. Debilitated and combusted Mars can put you in a hot spot for no fault of yours. However, the ruler of your sign will be well placed and aspects your sign. 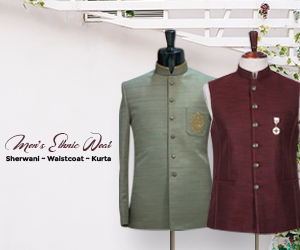 In this way, Jupiter will provide respite and help maintain your image as a good provider of materialistic things. Capricorn : The Sun, in conjunction with debilitated and combusted Mars, will be placed in the 7th House from your sign, having direct aspect over your sign. This conjunction could make you temperamental. It may annoy people around you. You may sound arrogant and egoistic and the worst-affected by your attitude will be your spouse. If carried too far, this tendency could cause permanent damage to your personal ties and even a break-up. Moreover, Mars will aspect the 10th House where Rahu will be placed at the moment. This indicates a busy time for you at the workplace. Relation with boss is likely to be strained and you may be scolded for lack of consistency. You may strongly feel like rebelling but it may not help you much. Even at home, you could be pulled up for not paying attention to domestic matters. As such, you are a good provider of materialistic things. So, the allegation of not paying attention is likely to hurt you. Aquarius : The ruler of your Sign, Saturn, will be retrograde now and placed in the 10th House from your Sign. It will aspect the 4th House from your Sign, related to domestic matters, and the 7th House, which is related to partnership, spouse and day-to-day activities. With retrograde Saturn placed in the 10th House, you are in for some real hard work, irrespective of what occupation you’re engaged in. You may need to learn a few new technologies in your field of activity and try to sharpen your skills. Also, this is not the right time to venture into a new arena. The influence of Saturn over the 7th House, where Jupiter is placed, may sour your relations with your spouse and the differences are likely to be difficult to resolve. You will need to make concerted efforts to mend fences. Try to be more accommodating and don’t make the difference of opinion a prestige issue. You may need to pamper your spouse and understand his/her problems. Pisces : At the beginning of this week, the Moon will be placed in your sign. Pisces can be described as sensitive, spiritual, scrupulous, stubborn, and often sympathetic yet shrewd. The ruler of your sign, Jupiter, will be in Leo and placed in the 6th House from your sign, mainly related to ailments, diseases and adversity. This planetary position indicates that you are likely to be stressed on account of one issue or the other most of the time. If you are suffering from any chronic or old health issue, this is the time when you will need to be very careful. But the good news is that the aspect of this benevolent planet is likely to have a soothing effect. The influence over the 10th House related to Karma seems conducive for growth. Businesspersons may be able to consolidate their position effectively and work toward increasing their market share. If you are doing a job, there is a likelihood of you being entrusted with some important task to handle. This will keep you motivated and help you improve your performance.